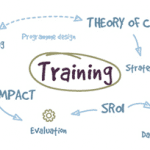 In-house training – our standard open courses brought to your teams within your organisation. Usually suitable for 6 or more people. Tailored in-house training – where we adapt content and emphasis of existing standard courses and briefings to suit particular objectives and requirements. Executive briefings – for senior decision makers and leaders who want to learn more about a methodology or some other aspect of our work. An excellent precursor to training your teams or appointing us to work with you on a project. Bespoke training – workshops or courses developed specifically for your team or organisation, delivered at our offices or in-house. Usually suitable for 4 or more people. Let us know if you would like to offer our courses or training to your audiences whether they are members, clients or specialist groups. We would be happy to talk to you about offering any of our open training programmes within a special package or as a one-off offer. Contact us to talk about in-house masterclasses, training tailored to your needs, training for an external audience or one-to-one training.